Drain the Crab Meat of excess liquid and mix together with the lemon oil and sea salt. Set aside while preparing remaining ingredients. As the name suggests, crab meat is meat found inside a crab. Known for its sweet and delicate taste, crab meat jumbo is a type of meat used in many parts of the world. Crab meat jumbo is usually used to make gourmet crab cakes, salads and crab cocktails. This white crab meat comes from the claws and legs of the crab and while it is white in color, it has a naturally occurring red-brown tinge throughout. White crab meat is very low in fat but very high in protein. It also has a naturally flaky texture. Another type of meat is the brown meat is from the body of the crab. It has a higher natural fat content, but is also extremely high in Omega-3. 100 g of brown crab contains 2/3 of the 3 gram weekly recommended intake of Omega 3. Brown crab meat has a rich full flavor. The most commercial species of crab meat used around the world are brown crabs, red swimming crabs, blue swimming crabs and blue crabs. In Western Europe crab meat is derived primarily from the species of the brown crab, also known as the common crab or the edible crab. The United Kingdom is the largest fishery for the brown crabs with large fisheries in Scotland. A smaller yet substantial fishery is found in the South West of England in Cornwall and Devon. This crab meat jumbo can be found on the andersonseafoods.com website. 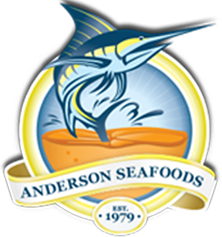 The staff at Anderson Seafoods have veterans in the sale of quality seafood to all clients around the globe. They have over 35 years of experience in the seafood business and are always readily available to attend to their customers’ needs. Their services include importing, processing, custom packaging and distributing all varieties of fresh, frozen and live seafood products right to the customers’ specification. Visit their website and order the most succulent crab meat jumbo that the whole family will love. Prepare it anyway you like. That delicate and sweet taste will surely leave you wanting more! Place the order for white crab meat jumbo from Anderson Seafood for the best and the fresh crab meat on the market.